Hi Everyone, i am semi new to the vinyl cutting thing i use to work with it at my old job, but that has sense gone out of business. So My brother and have started a business doing custom stickers and apparel. we purchased a titan cutter second hand not knowing how far we are going to with this. but it came with no instructions. 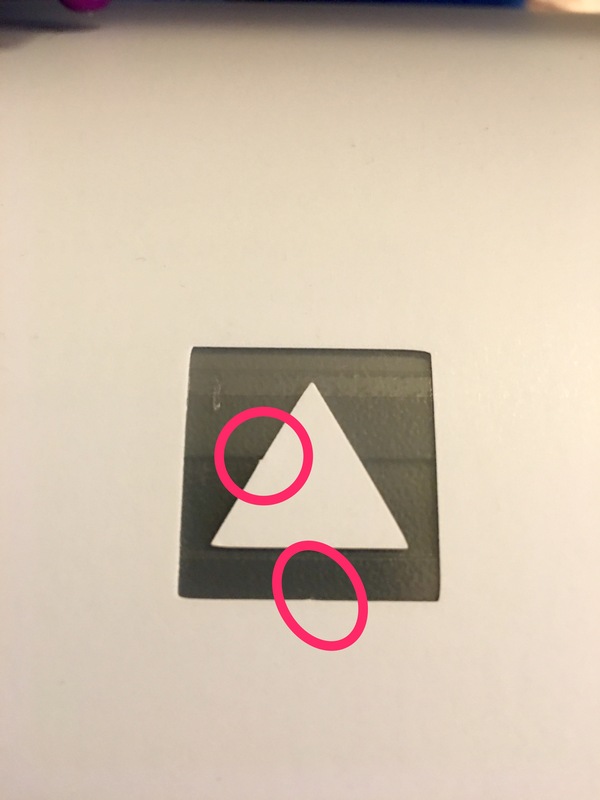 i have it setup but overtime i cut a test with the test botton on the cutter the test has these little like dog ears on it in one side of the inner triangle and another on the bottom of the cutter most cut. is there any way to fix this ? thank you for that but it didn't help me fix the problem i applicate the attempt tho. so you are saying changing the offset did nothing one way or the other on the ears? it doesn't seem so i was on the default setting 0.30 then went to 0.20 and nothing changed. how did you set your blade exposure? i also don't know if the setting are changing when i change it on the computer to the cutter is there anyway to let if they have actually changed ? been while since I owned a titan and the reason I directed you to the instructions from uscutter specific to your cutter - as I recall I set it on the cutter . ..
can you post a picture of what it is cutting? do you mean how far does it stick out of the blade holder ?